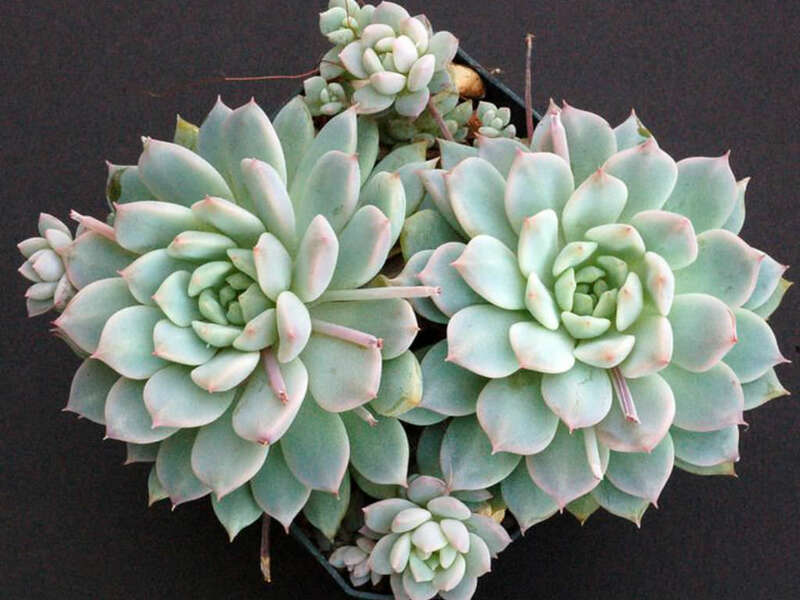 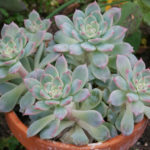 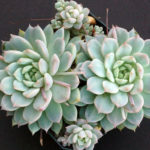 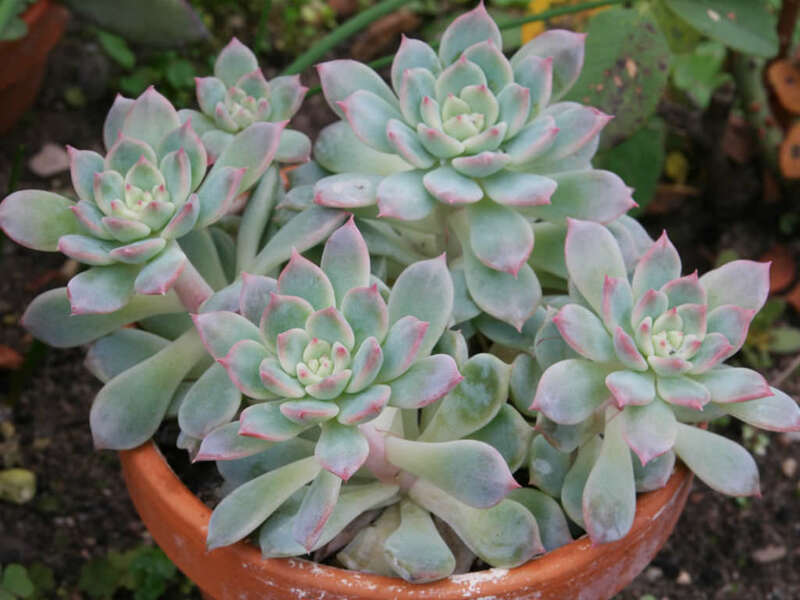 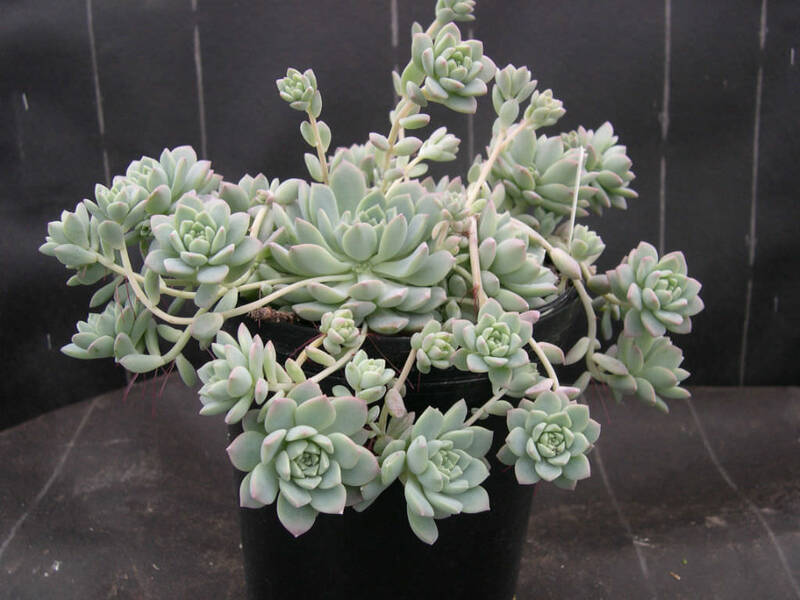 Echeveria prolifica is a small clustering succulent plant with rosettes of silvery-green leaves that are just over 1 inch (2.5 cm) across but offsetting abundantly and spreading by stolons to form dense low mats. 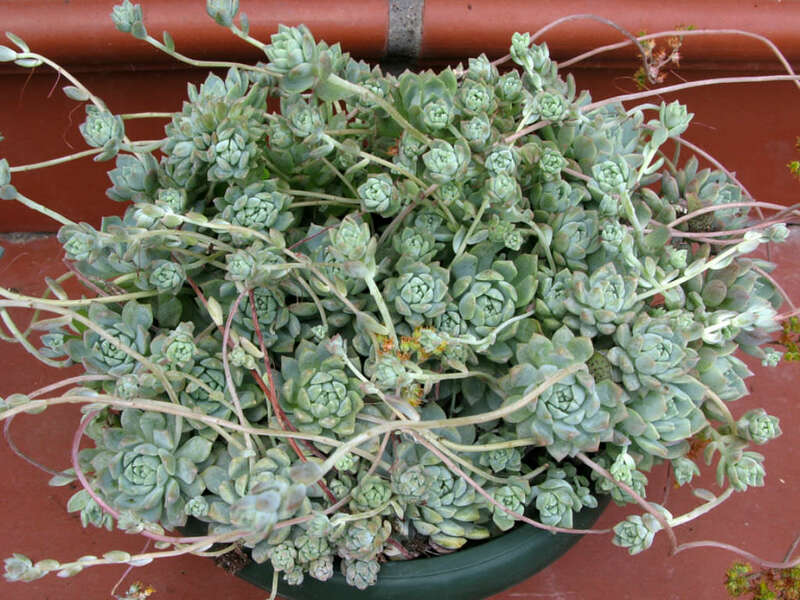 In early spring and sometimes until summer appear the small open campulate flowers with short broad (for the genus) yellow petals that are held in compact clusters at the end of decumbant up to 10 inches (25 cm) long stems. 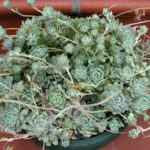 These inflorescences also have thick leafy bracts that fall off and root easily.